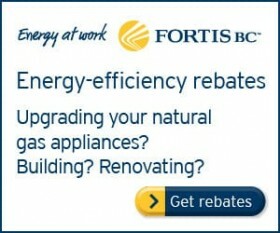 Heating and cooling accounts for about 60 per cent of your home energy costs. Proper draft proofing and insulating of a home can reduce your heat bills by 25 per cent and reduce carbon emissions by 435 kilograms a year. Draft-Proofing and Energy Saving Tips. The materials you need to seal the gaps are inexpensive. You can purchase many of them at local hardware stores and install them yourself. You can prevent warm or cold air leaks around your window and doors by applying weather-stripping or caulking to windows, and by putting weather-stripping along the side and the top of exterior doors. Baseboards on outside walls leak air too, so prevent this by using paintable or clear caulking along the top and bottom seams, or take the baseboard off to caulk between the wall and the floor. Install electrical outlet gaskets behind plugs and wall switches on your outside walls to keep them insulated. Your attic might be a source of heat loss as well, so be sure your attic hatch is weather-stripped. If your windows are getting old, consider replacing them with energy-saving windows from House Smart Home Improvements. You can check for air leaks around your house yourself by using incense (it'll either glow red or the smoke will trail towards the leak), or get a professional energy audit that makes you eligible for government rebates. To save on heating in the winter, turn your thermostat down a degree and wear sweaters and slippers in the house. As well, use area rugs on bare floors. Clean or replace the air filter in your furnace monthly to increase its efficiency. It's good to start at the bottom of the house and work your way up. Remove any old, damaged caulk or weatherstripping before you begin. Caulk around baseboards, sump pump lids, openings in the attic and between an uninsulated attic or basement and the living areas of the house. Seal the top of foundations for added efficiency. Use a smoking incense stick to find leaks or run your hand over windowsills, doors and walls to feel for cold drafts. Doors get warped by use and weather, leaving gaps between the door and frame. If your exterior doors are drafty, caulk between the doorframe and the wall and add weatherstripping along the top and edge of the door. For added protection, you can also put weatherstripping along the vertical doorstop to press against the face of the door when closed. Install a door sweep on the bottom edge of your door, or attach weatherstripping along the bottom of the door or on the threshold. Weatherstripping attached to the door itself needs to be extra durable. Use weatherstripping and caulking to seal around windows. Joints shift over time and with changes in moisture and temperature, leaving gaps and cracks. Use caulking to seal the spaces between interior joints, around non-opening windows and spaces around water pipes and vents. Choose a caulking that is appropriate to the task. Refer to the Buyer’s Guide for information on selecting a product. You can purchase gaskets that fit behind the cover plates of electrical outlets and lighting fixtures to reduce leakage. Caulk the edges of these gaskets. Child safety plugs fitted into infrequently used electrical outlets can help reduce heat loss into exterior walls. Hang interior window coverings to help regulate temperature. See our Shade Your Windows tip to learn more. Cover single-paned or inefficient windows with plastic in the winter. It is possible to over seal your house, leaving it prone to mold or carbon monoxide issues. While it is unlikely to do so with weather stripping and a caulking gun, keep in mind that controlled air circulation is essential for a healthy and comfortable home. Have an electrician install a dehumidistat in your bathroom. These devices can be set to automatically turn on the fan when moisture levels get high. See our Upgrade Your Ventilation tip for more information. If you are ready to upgrade your heating further, look to Tune-up Your Existing Heating System and Adding and Upgrading Insulation. Contact House Smart Home Improvements today about having one of our professionals draft-proof your home for you! We Offer Free In-Home Consultations! House Smart Home Improvements are Experienced Professionals with an A+ Rating with The Better Business Bureau. When it’s time to Replace your Windows, Doors or Furnaces and Heat Pumps, or to Install Insulation, and other Energy-Efficient Home Upgrades, give us a call @ 604-585-2020. Vancouver, Surrey, Langley, Coquitlam, Delta, Richmond, Ladner, Tsawwassen, North Vancouver, West Vancouver, New Westminster, Abbotsford, Chilliwack, Mission, Burnaby, Maple Ridge, Pitt Meadows, Aldergrove, and more.